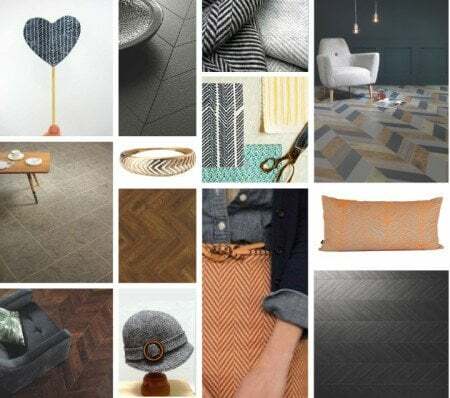 The herringbone pattern is on trend following the addiction to geometric patterns and strong lines. The wonderful zigzag pattern used in fashion and interior worlds are used everywhere; floors, walls, fabrics and furniture. 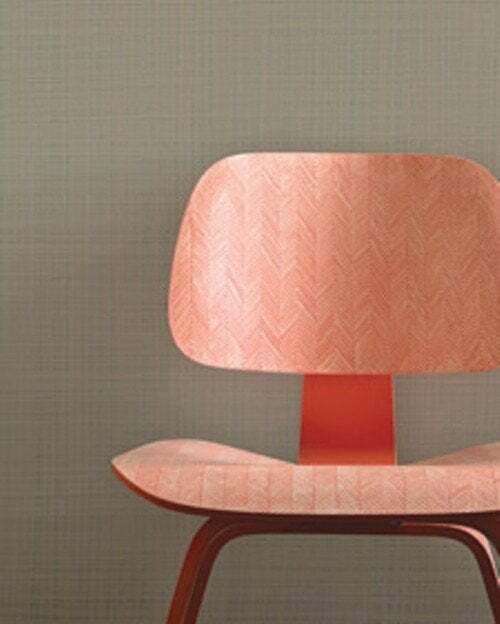 With strong geometric lines, herringbone patterns come in different sizes, colors and features. 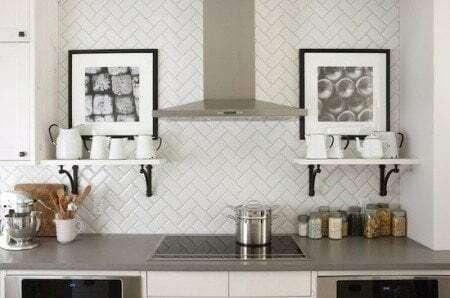 This post looks at different ways you can add herringbone to your kitchen, walls, floors and chairs. The broken lines of herringbone can be seen and used everywhere! 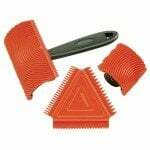 First, let's look at combing on a chair. This is a great painting technique that can easily create a herringbone pattern on any chair you love by dragging a combing tool across the chair diagonally in two directions at a 45 degree angle. Sounds difficult? It's not and the effect is brilliant! Look at the results on this painted chair by Martha Stewart. There is a video on her site using a plastic combing tool, two shades of paint, some glaze and 1" wide painters tape. 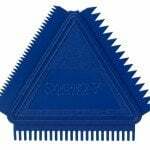 Martha Stewart has a great kit you can buy... but it's $49.99 for a PACK of 3 PAINT COMB SET. I trolled my hardware store and found something similar for a lot less before finding it on Amazon. You can't beat Martha for quality but I would be happier to spend a lot less to test it. Here are a couple I found on Amazon with great reviews and priced at a more reasonable price between $3.57 and $11.99. Click on the links for more information. 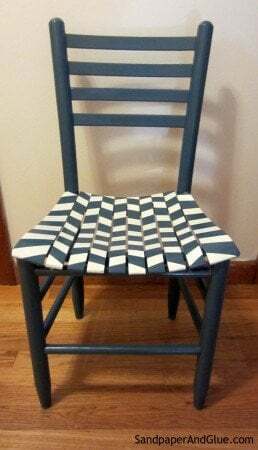 Here is a different version of a DIY herringbone chair, this time using painters tape to create the pattern from Sandpaper and Glue. It's a different look but striking nevertheless. Full details on the site. 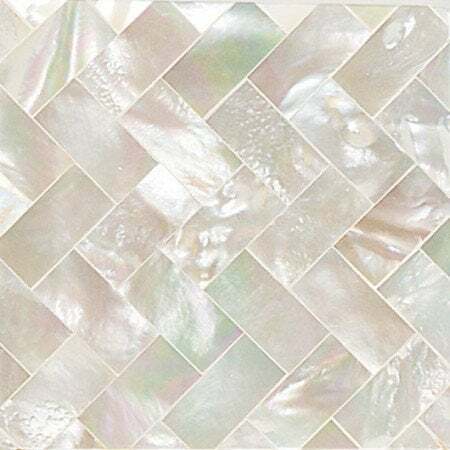 When it comes to hard surfaces, herringbone has moved from the floor to kitchen backsplashes. It's an easy way to add design and you can do it with tiles, glass or ceramics. 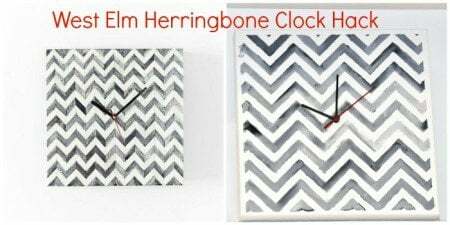 Add a touch of herringbone to your kitchen wall with this DIY West Elm clock hack from Red Barberry. Cute and clever! The original from West Elm cost $99 - this hack cost less, weighing in at $36. I found two DIY versions of the same clock, this one from Red Barberry, one using a purchased stencil and the other great look is from Pins and Procrastination, which cost only $15 and using painters tape to create your pattern. These gorgeous herringbone wood floors below from Lauren Flanagan, are in classic herringbone style; elegant, high-end, and gorgeous. They have a European feel and look great in most homes. 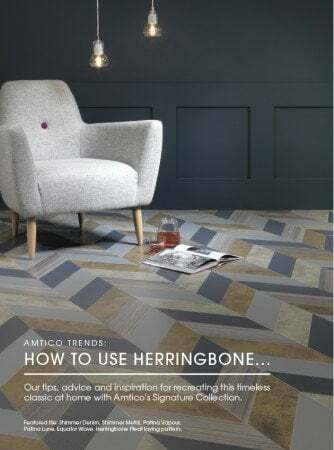 Herringbone floors are made of wood pieces cut on an angle and arranged in a zig zag pattern but unlike chevron, herringbone don't meet to create the classic v or w shape. Check the site to compare the two styles. 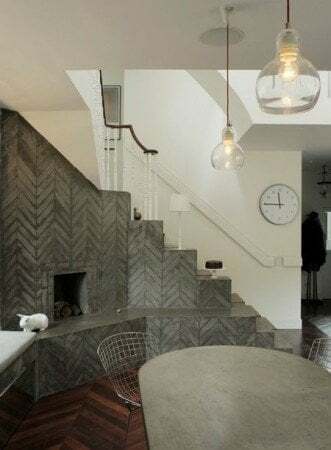 Wood pieces might be the traditional way to make a herringbone floor but there are great vinyl and composite herringbone floor fabrics and designs to choose from. Feel like painting your floor? The floor below uses a stencil from Stencil Ease. 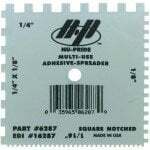 You can buy the stencil or get the paint plus roller. 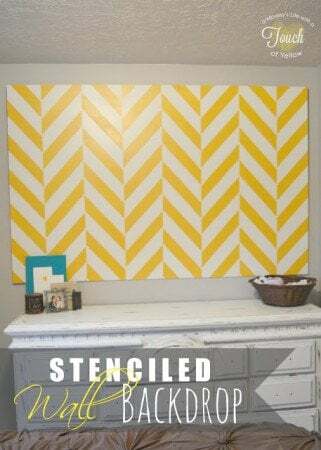 Stencils are resusable which means you can go on to great an indoor or outdoor rug or maybe a DIY wall canvas like this one from A Mommy's Life with a Touch of Yellow. IKEA always have a great range of home decor.. but here is a hack to create this great looking rug from All Things Lovely. The first coat is painted white. 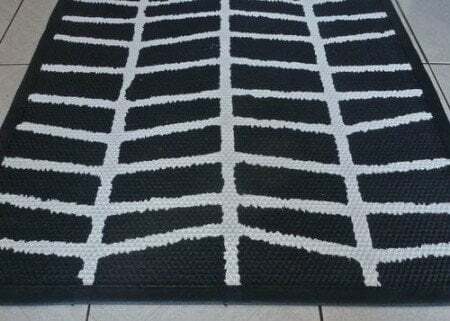 Tape up your herringbone design and paint the entire rug black. You can find the tutorial here. 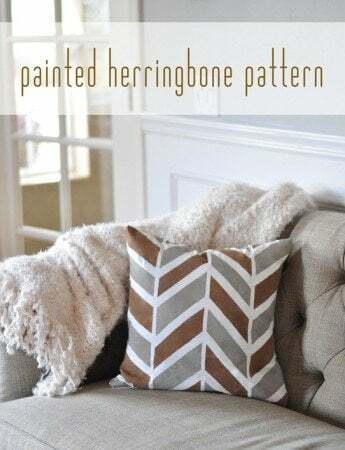 The painted accent pillow below from Centsational Girl is a painted herringbone pattern, using fabric paint and stencil tape on a flour sack, sewn into this accent pillow. More details here. 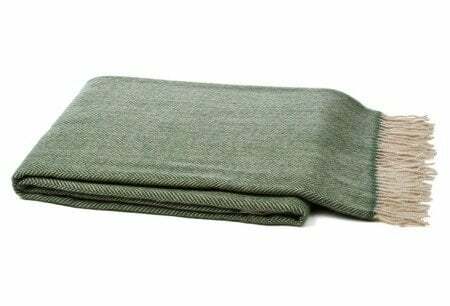 Or maybe add a timeless herringbone throw instead like the one above. 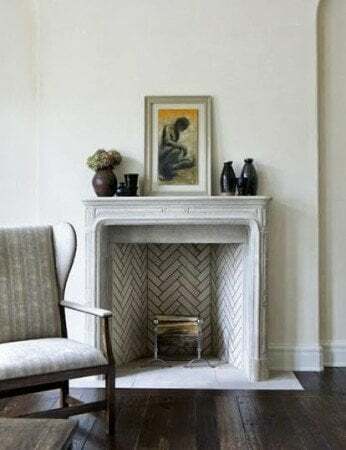 Flooring is one way to use herringbone, but using herringbone tile in the fireplace brick liner below, just like kitchen backsplashes, is nice piece of added detail. The area is small enough area not to compete with other elements in the room and interesting enough to balance out this very neutral living room. 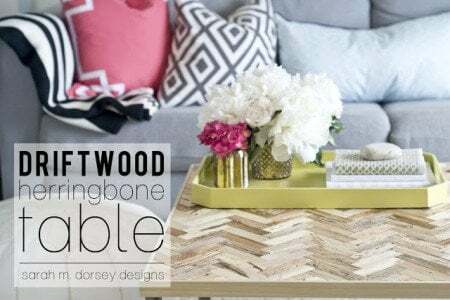 There is a DIY tutorial of this DIY herringbone driftwood table at Sarah M Dorsey Designs, made from beach driftwood and cut into thin rectangles for the table top. If you want to make your own, look for pre-cut thin strips of wood to cut down project time! 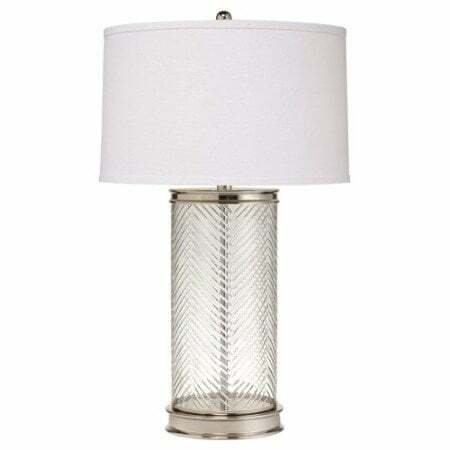 If you are up to a serious DIY, this herringbone lamp should be on your list. 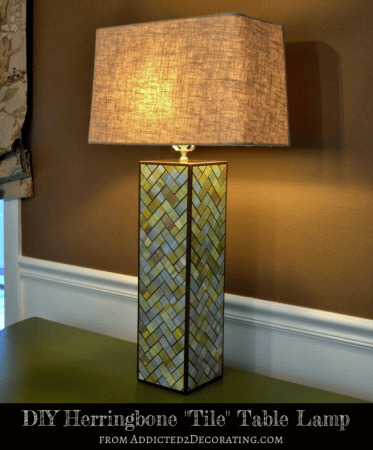 There is a full tutorial at Addicted 2 Decorating for this lamp - from scratch! The tiles were cut up from a simple watercolor painting by blog owner Kristi and the lamp bases made of scrap MDF. Her inspiration was a lamp that cost $345. This beautiful DIY version cost about 10% of that. It's time consuming and probably beyond the DIY beginner. Your herringbone pattern can come from anywhere; a bench, throw, floor or rug. 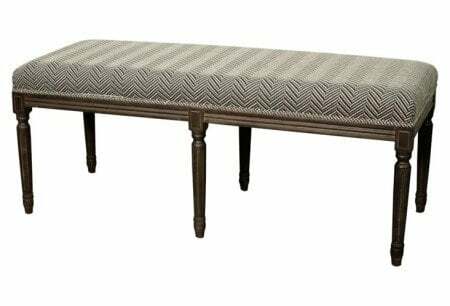 This bench mixes traditional with linen herringbone fabric. It would look great in a hallway or end of a bed. 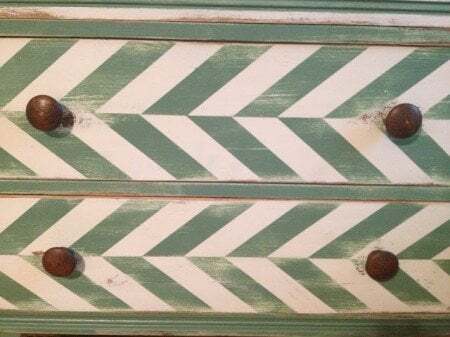 Painting a herringbone pattern on a distressed dresser is simple as it is striking. Tape off the herringbone pattern using painters tape making sure you line up the drawers perfectly. That way when the drawers are returned to the dresser, the pattern lines up between drawers. Add paint to your dresser, distress and finish off with hardware. For those with a good eye and a steady hand, you might like this desk from Design Sponge. The strong geometric lines, warm wood and cooler black and silver lines are very striking on this desk. It took 4 hours to complete. First sand the finish of the desk to raw wood. Apply Minwax stain to the raw wood. When dry apply polyurethane over the stain. Spray the drawers black. 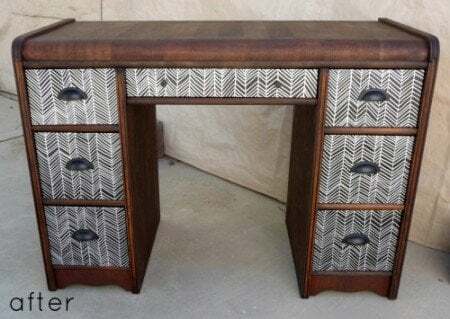 Draw herringbone pattern on the drawers and add silver lines with a paint pen. Add hardware. Get the full tutorial here. Here is a video with 3 different ways to create a simple herringbone pattern. There is nothing nicer that a beautifully bricked outdoor area. This is the next best thing.. a painted floor using a stencil. 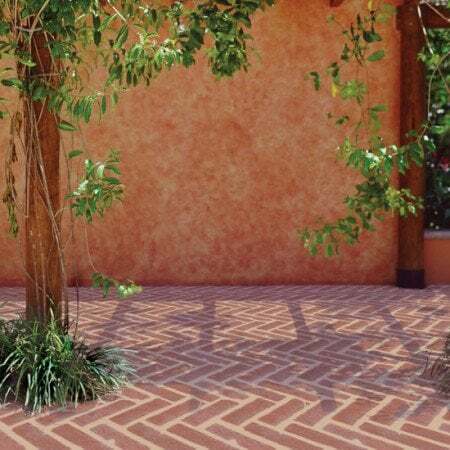 You can create this outdoor herringbone floor pattern using a stencil transforming concrete to a paved brick look. So many great ideas here. Not sure where to start but I think I must have that gorgeous throw! Perfect color for my living room. 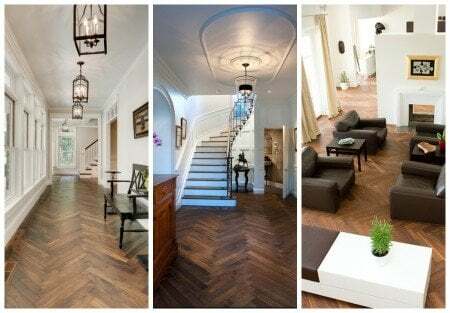 Herringbone floors have always been my favorite. Hi Marianne! Thanks! I love your site, so happy you dropped by!